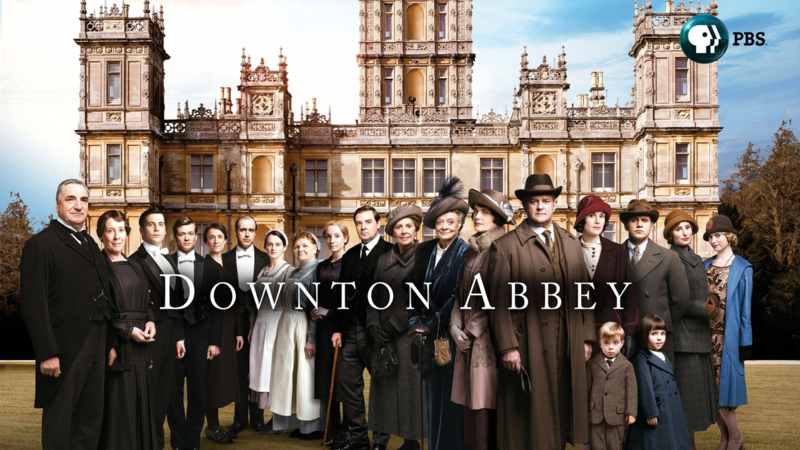 ARLINGTON, VA; February 4, 2015 – PBS and WGBH announced today that, based on Nielsen Live +7 ratings, the January 4 premiere of “Downton Abbey, Season 5,” a Carnival Films/MASTERPIECE co-production, drew an average audience of 15.1 million viewers P2+ (9.4 national household rating). This represents a nearly 50 percent increase over the 10.1 million average audience first reported in the Nielsen Fast National (Live + SameDay) Data. The episode ranks as the second-highest rated episode in the series history. Season 5 of “Downton Abbey” is currently the #1 TV season for purchase on iTunes, and is also available on Blu-ray and DVD on ShopPBS.org and major retail outlets. “Downton Abbey” is a co-production of Carnival Films and MASTERPIECE. PBS, with its over 350 member stations, offers all Americans the opportunity to explore new ideas and new worlds through television and online content. Each month, PBS reaches nearly 103 million people through television and over 33 million people online, inviting them to experience the worlds of science, history, nature and public affairs; to hear diverse viewpoints; and to take front row seats to world-class drama and performances. PBS’ broad array of programs has been consistently honored by the industry’s most coveted award competitions. Teachers of children from pre-K through 12th grade turn to PBS for digital content and services that help bring classroom lessons to life. PBS’ premier children’s TV programming and its website, pbskids.org, are parents’ and teachers’ most trusted partners in inspiring and nurturing curiosity and love of learning in children. More information about PBS is available at www.pbs.org, one of the leading dot-org websites on the Internet, or by following PBS on Twitter, Facebook or through our apps for mobile devices. Specific program information and updates for press are available at pbs.org/pressroom or by following PBS PressRoom on Twitter. WGBH Boston is America’s preeminent public broadcaster and the largest producer of PBS content for TV and the web, including MASTERPIECE, ANTIQUES ROADSHOW, FRONTLINE, NOVA, AMERICAN EXPERIENCE, ARTHUR, CURIOUS GEORGE and more than a dozen other primetime, lifestyle and children’s series. WGBH also is a leader in educational multimedia, including PBS LearningMedia, and a pioneer in technologies and services that make media accessible to the 36 million Americans who are deaf, hard of hearing, blind or visually impaired. WGBH has been recognized with hundreds of honors: Emmys, Peabodys, duPont-Columbia Awards…even two Oscars. Find more information at www.wgbh.org. Founded in 1978, Carnival has produced many hundreds of hours of popular drama both in the UK and US, including primetime series such as Poirot, Hotel Babylon, Whitechapel, Jeeves & Wooster, Rosemary & Thyme, As If, Dracula and The Philanthropist, as well as award-winning mini-series such as C4’s iconic Traffik, David Hare’s Worricker Trilogy (Page Eight, Turks & Caicos and Salting the Battlefield), The 7:39 by David Nicholls, William Boyd’s BAFTA award winning Best Serial Any Human Heart, The Old Curiosity Shop and Enid starring Helena Bonham-Carter. Peter Morgan’s The Lost Honour of Christopher Jefferies broadcast on ITV at the end of 2014 to critical acclaim. Carnival’s latest series The Last Kingdom is in production for BBC2 and BBC America, and the sixth season of Downton Abbey will go in to production in early 2015. Carnival co-produced Royal Television Society award winning drama The Hollow Crown, a screen version of Shakespeare’s history plays (with Neal Street productions) and the sequel The War of the Roses is currently in production, starring Benedict Cumberbatch and Judi Dench. Carnival has recently announced major new projects such as Freud, Bill Gallagher’s Jamestown, and Neil Cross’s Bay of Plenty with Libertine Pictures for the BBC. Carnival was recognised as best production company at the 2011 Bulldog Awards and 2012 Broadcast Awards.